Ever wonder what is in your deodorant? What is it exactly that stops you from sweating? You may or may not have heard in the news in recent years that the ingredients commonly found in deodorants and antiperspirants may be harmful to your health. Aluminum, parabens, and other ingredients are believed to be linked to diseases such as breast cancer and Alzheimer's. Numerous studies have been done, yet results show conflicting data. I don't know about you, but I don't want to slather on potentially cancer-causing chemicals daily if I can help it. Here is an easy recipe for homemade deodorant, adapted from LittleHouseInTheSuburbs.com. It's quick, cheap, and chances are you already have the ingredients. And if your current stick of deodorant is running low - perfect! You can use the container for your new and improved, healthy, homemade deodorant. Essential Oil: Adds a clean, healthy scent. Choose your favorite! Old Deodorant Container: Allows you to apply your new, healthy, homemade deodorant the old fashioned way. No scooping out with your hands! All of these ingredients are cheap and easy to find. Chances are you have most, if not all, of them in your home right now, and you can easily make multiple batches. 1. 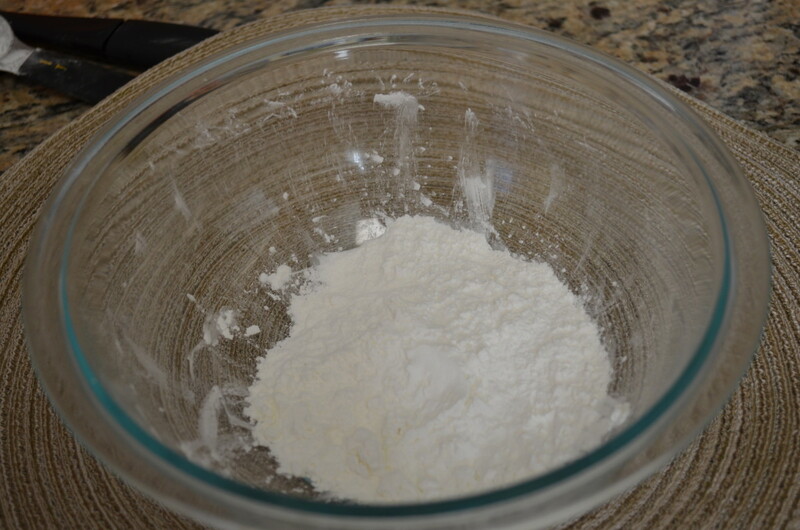 Measure 2 T Baking Soda and place in a bowl. Mix in 6 T cornstarch. 2. Add 10-20 drops of your favorite essential oil, followed by 10-20 drops of tea tree oil. Mix well. 3. Add 2-3 Tablespoons coconut oil to the bowl and mix well. If you find the coconut oil is hard to mix it, you may warm it in the microwave for a few seconds, but it can become a bit crumbly. Don't worry, though, it will all go into the container just fine. 4. Make sure the container is clean, dry, and unwound, so that it can be twisted up later when it gets low. Pack mixture into the container, pushing it down with your fingers so that there are no air bubbles or gaps. We want to have a solid stick inside. 5. When you are finished packing in the mix, wipe off the edges and place on the cap. 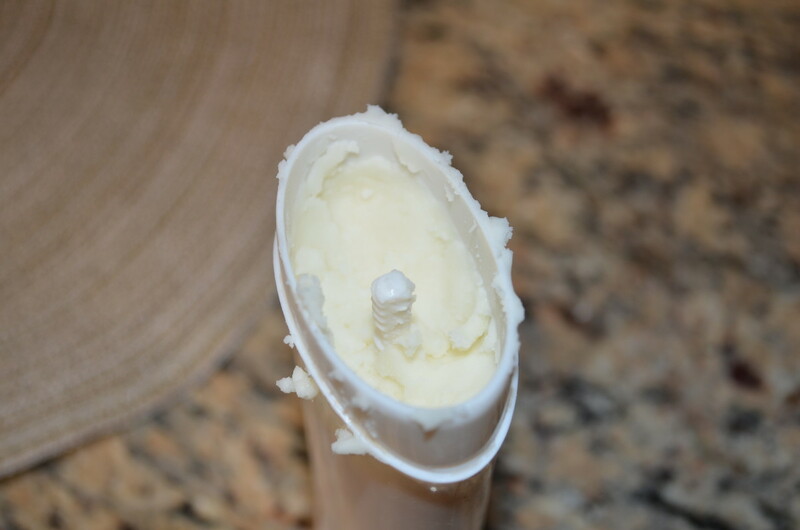 Put the deodorant container in the freezer for 5 to 10 minutes, allowing the mix to set and firm up. You have just made your all natural, healthy, customized, homemade deodorant! 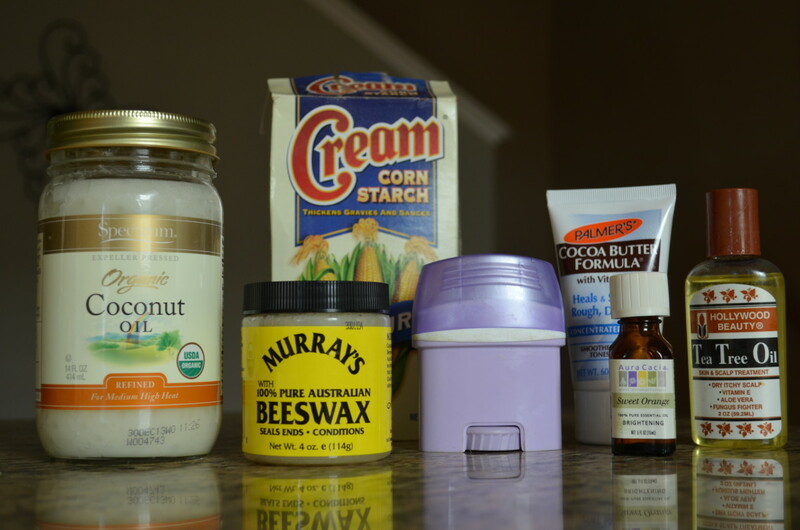 Your finished healthy homemade deodorant! Since coconut oil liquifies above room temperature, you'll want to keep it in the fridge or freezer. To avoid marks on your clothes, put on your deodorant a few minutes before dressing, allowing it to dry completely. Apply lightly. You do not need a thick coating for it to work. Give your body a few days to adjust to the new ingredients before making a decision on how you like it. Enjoy your new all natural, homemade deodorant, knowing you are doing something positive for your health! Make your own healthy and inexpensive deodorant-antiperspirant in this quick ten minute recipe. Its smooth texture and fresh scent will remind you of a spa. Does homemade deodorant give you a rash under your arm? I have not had that experience. From what I've heard, baking soda can be irritating to some people. Does this homemade deodorant keep you dry? Not really, it's more of a deodorant. You really don't want to stop the sweating completely as it's an important process for the body. Does homemade deodorant make your armpit dark? I have not experienced that, no, nor have I heard anyone say that. Is this deodorant or antiperspirant, or both? I'm researching antiperspirants, and keep running into the problem of people not knowing the difference. I made this yesterday and just tried it out today. Excited to see if it will work for me! Next time I would probably cut the recipe in half because it was a lot of deodorant for the size of stick that I was using. Also, I ended up mixing it some with my hands which helped to heat the coconut oil and allowed it to mix better with the ingredients. Thanks so much for sharing this! I have been using this for over a week now. I am not a heavy sweater so this is quite effective as both an antiperspirant and deodorant for me. I followed the recipe exactly and added lavender as my essential oil (as that was all I had on hand), however I am developing a rash in my arm pits now from using it? Has anyone else experienced this? I thought maybe it would settle down after I got used to it but it's still there. I cant wait to try this. I have an allergy to the album in store brands. I have to look for one with the lowest alum content and use it very sparingly then pray my pits don't break out. This sounds great!!! Funs as this is, you know that shop bought antiperspirants are perfectly safe to use, right? The science that suggested otherwise has been disproven by subsequent science? I made this deodorant and have loved it! I'm a heavy sweaty no matter if it's freezing out or super hot. It is amazing but after using it for about a month now my arm pits have gotten super dark from where the deodorant was and now my skin is flaking... Any suggestions on why? Thanks ! Is there a substitute for corn starch if you are allergic to corn? Ive been using this recipe for three months now and love it! I used to get a tingling sensation and slight pain when I wore antiperspirant and that doesn't happen at all with this. Haven't tested it in the Texas heat yet, but it's doing just fine in our mild winter. I can go up to two days with one application, too. Hi again... I live in Spain, that's why it's a little tricky to find coconut oil in the stores. But I will try the health food shop in town instead. Thanx for the tip about it being 'solid' tho'. The almond oil, I can find, is a liquid. Henriette, where are you located? In the US, you can find coconut oil in any grocery store as well as costco and walmart. I'm not sure about almond oil as coconut oil is solid at room temperature, which helps give the deodorant mass and stability in addition to antifungal properties. You could try though! Let us know! I'm having trouble finding Coconut Oil, so wondering if it can be replaced by another oil... Almond Oil perhaps? I tried this recipe and found it to be better by melting the coconut oil so as to get it to mix with the dry ingredients better. I also purchased some empty deodorant containers from amazon.com because after trying 3 different containers, I couldn't get it to slide up. Lastly I added 2 tablespoons of beeswax pellets (also bought off amazon) in order to solidify the mix as I live in a warm climate and the fridge idea would not be efficient for my household. Thanks for your recipe, after a few tweaks it's great! Your instructions read to use unrefined coconut oil, but in the photo, you have refined coconut oil. Refined has a higher melting point than unrefined, which melts very easily. Which one do you recommend? It is just a deodorant. I'm like you though, I won't buy antiperspirant. Keep in mind that sweating has its purposes. Yes I also didn't have great luck using the screw stick. You're better off using several smaller more shallow containers. I tried this and it was pretty easy and mess free but my deodorant stick does not get pushed up at all. I melted it in a pan and tried inserting again to make sure the screw part was all the way down, makes no difference. I can't use it. Any ideas?? p.s room temperature made it get too soft to put on but in the fridge it seemed fine. I'm sad about that, but not giving up. I'll try the solid soon. Haha you're funny! I hope it works out for you! I sweat...a lot! I'm always pittin' out. It's sad...I'm a female and that just isn't acceptable for us! However, IF this works and I can sweat without smelling...I'm one step closer to a home run! Now, lets get this stuff out of the frig and into my bathroom! Sounds like a wonderful recipe, can't wait to make some. I've made my own, similar to this one only without the Tea Tree, and I like it. I will try with the Tea Tree next :) Thanks for this recipe! Wonderful recipe! I have been concerned with deodorant since I discovered that it is not entirely safe. Buying natural deodorant is so expensive. Even more so when you have 3 kids to buy for. This fits my needs perfectly. Thanks for reading! I hope you like the recipe! Thanks Faceless39! I hope it meets your needs! 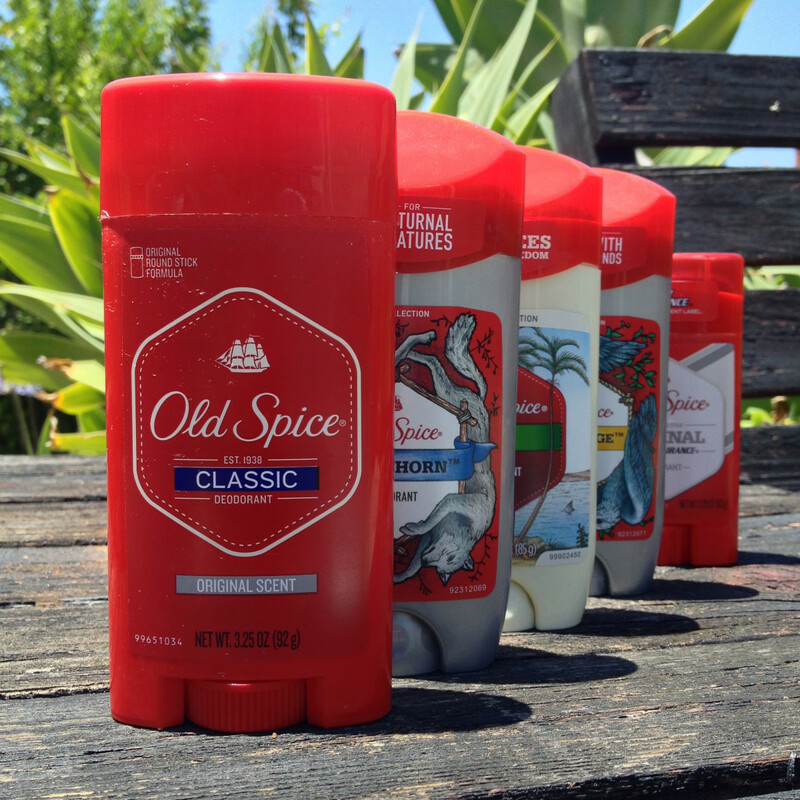 I've been seeking the holy grail of natural deodorants for many years. The problem I always get is that you have to re-apply halfway through the day. I'll try this out.. Thanks, Kevin Peter. It is very easy to make and much better for you! Hope you like it! The same thing happened with my mom, and her experiences have caused her and the rest of the family to adopt much healthier, more natural habits. Hope you like it! The natural deodrant sounds very good. The ingrediants are all easily available and can be prepared easily. I will soon prepare it. I have never thought of making deodrant myself. Quite interesting! Awesome! My mom recently won a bout with cancer and she stopped using traditional deodorant... she will appreciate this very much. I'm glad you like it, seven 365! make sure you find some organic cornstarch as 99% of corn products are GMO now! Oooh I never thought to make deodorant, probably cuz of all those natural deodorants I bought at Whole Foods that just didn't work so I gave up and started using the regular kind... until now. Thanks for the recipe, I'll definitely give it a try! Great idea for some additions! Where do you buy your oils? This was effective! But messy. Great start that I'll try o tweak. Also suggest geranium and lavender oils as they not only help the stink but repell insects as well (bonus). Great! I'm so happy it's worked out for you! I switched from antiperspirants to natural deodorants three years ago. I never found one to keep me "neutral" until this one - they all either were extremely perfume-y or I ended up stinking by the end of the day. I used eucalyptus oil in my version and I don't smell anything after a full day of work (including carrying boxes between buildings.) Thank you - this is what I've been looking for! I am getting ready to make this right now. I have the ingredients on my countertop. I'm going to add another oil with the tea tree, and add them slowly. Thank you so much for posting this useful information! A little. It goes on a little soft. That's why you really should put it on and let your pits dry before dressing. Question...if room temp or above makes coconut too soft, what does it do with the body temp? Do you end up with wet armpits? I just finished making this recipe. I am really hoping it works because I have suddenly developed a horrible rash from the chemical filled ones. So I can't use them anymore. The one I made is very crumbly, even after I put it in the freezer. Is that normal? Great point! I like your additions to the recipe too! There is a doctor in Italy, Dr. Tullio Simoncini, who uses a baking soda solution as his first line of treatment for several different types of cancer with great results. It's awesome to have a deodorant that prevents cancer instead of having the potential to cause it. Ok, I've made it and it smells great, although I didn't use essential oil as I didn't have any aside from the TTO, which I think I used too much of as it is very strong. Placed in freezer for 10 minutes and then moved to fridge. I tried the regular recipe, not the creamy one. I have major sweating issues, seriously. Really hoping this works for me! I will post again after a week! Mine didn't at all! Did u do big drops? I can't imagine why it would smell so strong from only ten drops. Yes, I was able to fill a big container. I think I threw the part that pushes the deodorant up. Lol..is it supposed to smell strong like tea tree? Uh oh. Were you able to use all of it to fill the container? See if you can unwind it before it sets. I put mine in the freezer to set. I hope it works out for you! Good luck! Okay, I made it. Really strong tea tree smell and I only used 10 drops instead of 20. I put 20 of scented oil. It's sitting in the Frig. It didn't look like the one on the site. Mine was more loose. :( I think I forgot to unwind my deodorant container. I hope it works well for you! Remember to stick with it for a while and give your body time to adjust. No deodorant has ever worked on me, I have tried everything. Even prescribed deodorants. Praying this works. Just bought Sweat Block and they recommend a natural deodorant. Worth the try. Male sure to let it dry completely before putting your shirt on. It should be fine. 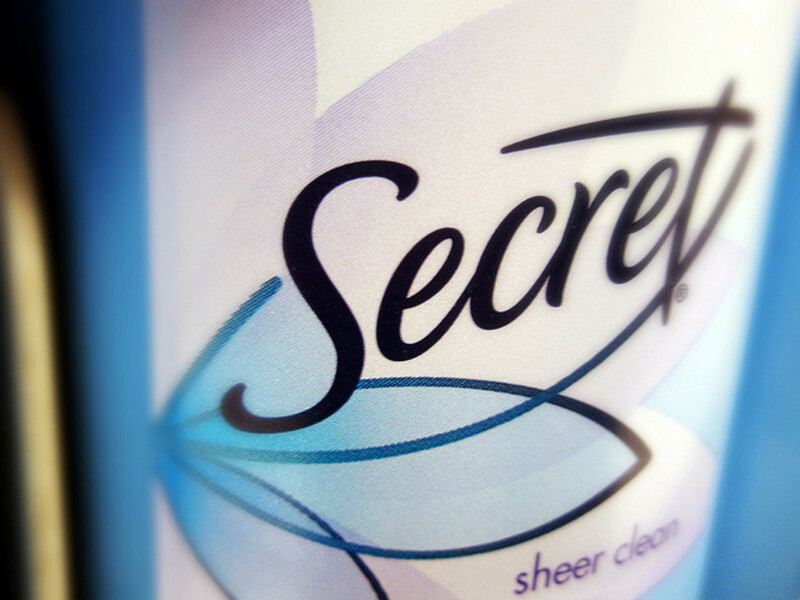 You might sweat more than your commercial antiperspirant but you shouldn't smell. Just bought my ingredient to make my deodorant. Will it seep through my shirt if it very hot out or if I work out? Haha! Your recipe sounds interesting. I like the idea of using vanilla! Thanks for the comment! My first foray into natural deodorant was the salt rocks (which was hit or miss for me.) 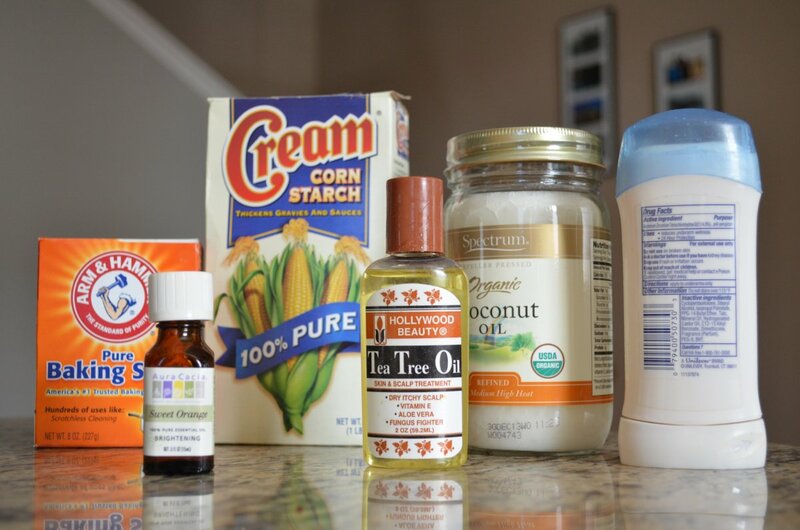 I make my own homemade deodorant using a very similar recipe (baking soda, cornstarch, coconut oil and vanilla.) I love it. My husband thinks it's hilarious that technically, my deodorant is edible. Great hub! Hope it turns out well for you! Please let me know how you like it! Thanks much for the advice. I already have shea butter and beeswax on order. I'm thinking of using 1/3 beeswax, 1/3 coconut oil and 1/3 shea butter in my next deodorant attempt. It'll probably resemble your creamy deodorant recipe. I hope this will allow me to take my deodorant with me when I travel, even if it's a hot 90 degree day. Thanks again! Also the creamy version includes beeswax, which helps to keep the deodorant solid. I'm going to look into shea butter anyway because I want to be able to take his deodorant with me when I travel. However, I did try the basic recipe yesterday and I smelled great all day, as well as through the night. Thanks much! I like coconut oil because it's antibacterial and I'm not sure that Shea butter has that quality. I did include it in my creamy version due to its smooth texture and sweet smell. Check it out! Hope you like it! Thanks for the advice! I tried it briefly last night but I'm going to give it a full "go" today. Also, I was wondering- would shea butter be a better substitute for coconut oil, since it is solid at higher temps? 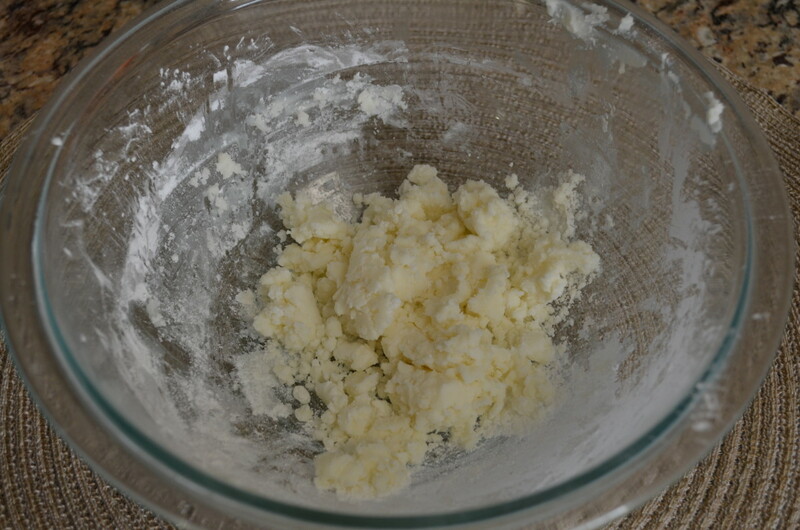 Shea butter doesn't melt until its 89-90 degrees F. Thanks! Hally, I have not had a problem with the deodorant melting all over me. Sure, it becomes soft when it hits your skin, but I've found that allowing your pits to dry for a minute does the trick. If you're not wearing a sleeveless shirt, be sure to apply and let it dry before putting your shirt on. Hope you like it! I just made this deodorant and it's sitting in my freezer as I type this. I have one question: how does this stuff not end up melting all over you? It was melting on my hands and dripping off as I was handling it. I'm sure that my underarm is going to be way warmer than my hands. Thanks! Haha, it is nice! I've found that if your house is cool, it will still be solid, though a little soft. Coconut oil melts at 76 degrees, so the closer the room temp gets to that, the softer it will be. Hmmm, putting it in the freezer sounds like you get a little thrill every day when you put it on! Is there a way to get around the need for putting it in the fridge? Maybe there's a certain temperature that will help it stay in usable form? I'm only asking because in the future, I plan to wean myself off of the need for the grid - meaning very few perishable foods. In any case, what a great hub, natural deodorant! I will probably try this. Thank you. Thanks so much! I hope you like the recipe! I definitely recommend the Creamy version! @Patrice: I'm wondering why. Fortunately, my old bookmarks are all there. I guess I'll bookmark the pages I like using some social bookmarking sites in the future. HubPages has phased the bookmarking function out, Jasmine. 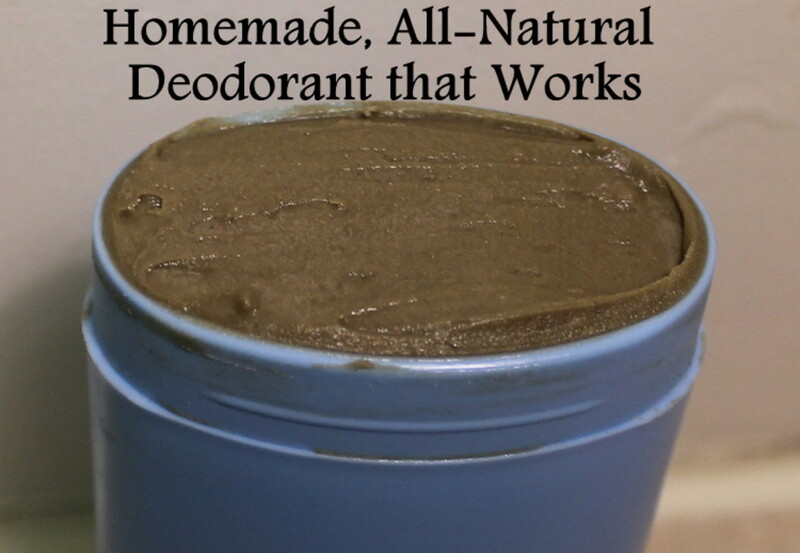 Great deodorant recipe and easy to make - the best kind. I love coconut oil, always have some around, and as you said, the other ingredients are easy to find. I'm definitely going to give this a try when my deodorant container (the exact one in your photo) is empty. Voted up, useful, and bookmarked, too. And congrats on the hub nugget nomination - looks like you won. Hmmm ... can't seem to find the little bookmarking tab. Great hub and great info. I'll certainly bookmark and share. Great to meet you too. I'll follow so I can keep up. I'm all about totally natural products. Rated up and more. Don't you love how basic the ingredients are? I love how easy and healthy it is! Enjoy! I have always worried about shop-bought deodorants as I know they contain loads of aluminium so I was very interested in reading this hub. Going out to buy some coconut oil now - everything else is right in the kitchen cupboard. Well done and many thanks, cdemp11 ... voted up and useful. Could one add 'aloe vera' to the mix I wonder? Voted up, sent to my list and FB'd great concept, good advice and well presented. Very interesting! I've never seen a make-it-yourself deodorant recipe before. Great Hub! Sounds pretty interesting. Never heard of making your own deo... I will give it a try to this does sound simple too :) Welcome to HubPages. Have a lovely day! I did try to find the coconut oil... and located it in my neighborhood market instead of trekking to Whole Foods. I'm going to make this as soon as my current stick runs out. Thanks, and voted up and useful! Thanks! I am very excited to be nominated and to be a part of Hubpages! Thanks Marcy! I hope you like it and please check out the creamy recipe. It smells so good! 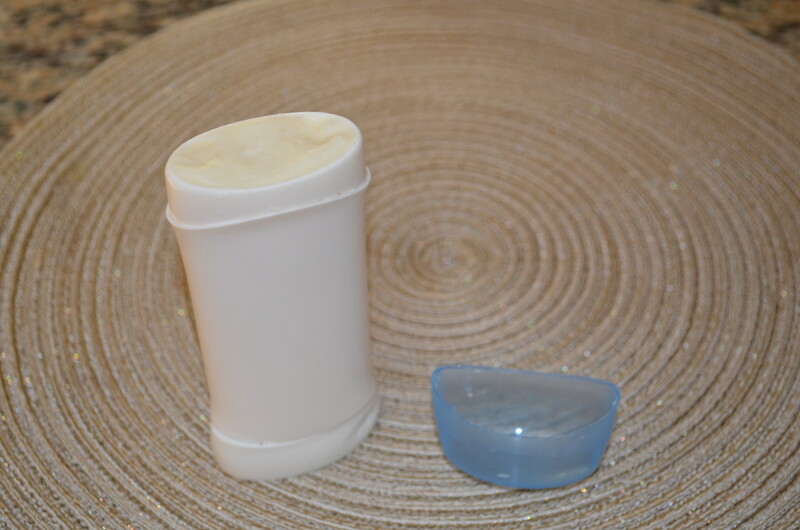 I never thought of using used swivel-up containers and making deodorant from scratch! What a great idea! I'm bookmarking this hub, and I plan to try it. Thank you for this advice! Voted up, awesome and interesting! I know, it's scary how prevalent these chemicals are. It feels good knowing you are removing at least some from your daily routine! Can't wait to try - my daughter loves natural chemical free products. Haha thanks Lori! Hope you like it! How fun to make your own.....I guess we can say it even SMELLS like a great idea ! Thanks Alice! Give it a try sometime!